“I am honored for us to speak and educate the hospitality industry at HITEC® in Toronto. Today, it is essential for the industry to fully understand the rapidly evolving cyber threat landscape and protect its customers, employees, and businesses from cybercrime. The industry must be highly proactive to reduce data breaches and minimize harm from an army of criminals that operate in cyberspace. With our training and help, the industry can fight back,” said Rosen, based in West Palm Beach and a member of the Shutts Financial Services Practice Group and the Cybersecurity and Data Privacy Taskforce. The conference will be held June 26 – June 29 in Toronto. Produced by Hospitality Financial and Technology Professionals (HFTP®), a global nonprofit hospitality association that is headquartered in Austin, Texas, HITEC offers a unique combination of top-notch education, and brings together the brightest minds and hottest technologies from across the globe to one place. The unparalleled event offers attendees essential education, access to top hospitality technology industry experts and the resources to find cost-effective ways to improve company bottom lines. Rosen’s practice focuses on cybersecurity, privacy, data security, securities regulation, and financial regulation. 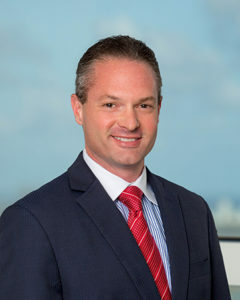 He previously served as Senior Regional Counsel in the Department of Enforcement at the Financial Industry Regulatory Authority (FINRA) and Senior Attorney with the Florida Department of Banking and Finance. At FINRA, Rosen was at the front line of cybersecurity regulation, having served nationally as FINRA’s Regulatory Specialist on FINRA’s Cybersecurity and Information Technology Disposition Group. As a lead FINRA enforcement lawyer, Rosen also directed many significant enforcement investigations and disciplinary actions related to anti-money laundering compliance, supervision and sales practice violations, providing him with years of direct experience with FINRA’s enforcement processes. Additionally, Rosen is an Adjunct Professor of Law at Nova Southeastern University and teaches “Cyber and Information Crimes.” Rosen also holds a number of appointments and committee memberships on cybersecurity and technology, including the Florida Department of Law Enforcement’s Southeast Regional Domestic Security Task Force, the American Bar Association’s Cyberspace Law Committee, the Florida Bar’s Committee on Technology, and the Florida International Bankers Association’s Operations and Technology Committee. Established in 1910, Shutts & Bowen is a full-service business law firm with more than 260 lawyers in its Fort Lauderdale, Jacksonville, Miami, Orlando, Sarasota, Tallahassee, Tampa and West Palm Beach offices. Learn more about Shutts & Bowen at www.shutts.com.